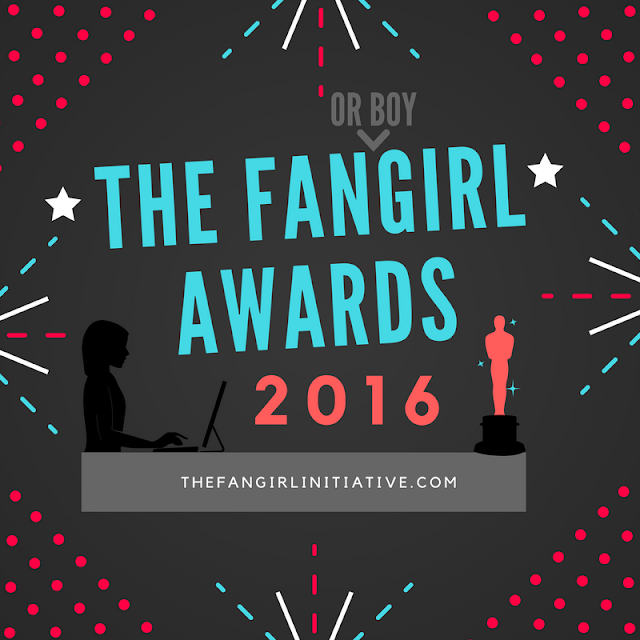 The 2016 Fangirl Awards: Let the Nominations Begin! In one month, The Fangirl Initiative turns two! For such an honor, we're celebrating with the second annual Fangirl Awards! You've heard of the Oscars. You've heard of the Emmys. Now we'd like you to participate in The Fangirl Awards. The Fangirl Awards was created by fangirls for fangirls. Now we can vote on which death made us cry the hardest, which ship we ship the most, and which character is the most fabulous. And those are just a few! We've selected some categories, but we need nominations! Look over our categories and submit who you think should win a Fangirl Award for their category. On November 1st, voting will open, so don't forget to check back! You can also check out last year's nominations and winners. Multiple nominations for one category are allowed, to a reasonable degree (i.e. 2-3 nominations is okay, 15 is not). Nominate by filling in the submission form below, Check back November 1-14 to vote. And don't forget your flower crowns! Be bold. Be brave. Be Initiative.